Interesting - Karlos version has the screw in the base for taking off both sides of the honeycomb airflow. Mine comes without it - just like in FT pictures. Besides this the clone is GOOD! No leaking - even if you squonk it hard. The AFC is not moving smooth and the positive post seems to be a bit too close to the other side of the base. I will sand this down to get a little more place in beetween. I will also sand the inner side of the Top Cap to get rid of the black paint inside the chamber. The insulation for the positive post seems a bit thin - would be nice to see replacement here on FT. It won´t cause any trouble for me as I only vape around 35W, but for those who use higher wattage I would recommend to keep an eye on it. This is all just small issues - no dealbreaker. That's a difference worth noting. The authentic has removable negative and positive sides of the deck, as does the one in Karlos' photos. The one sold here does not. Also, per Anniepan in a different thread, this one does not have the logo - if that matters to you. There could be other differences as well. Clones can vary alot. I've seen at least 3 different clones of this atomizer. It's hard to say which is the best one to buy yet. It´s good but not excellent - kind of muted compared to the Recurve, but not bad. 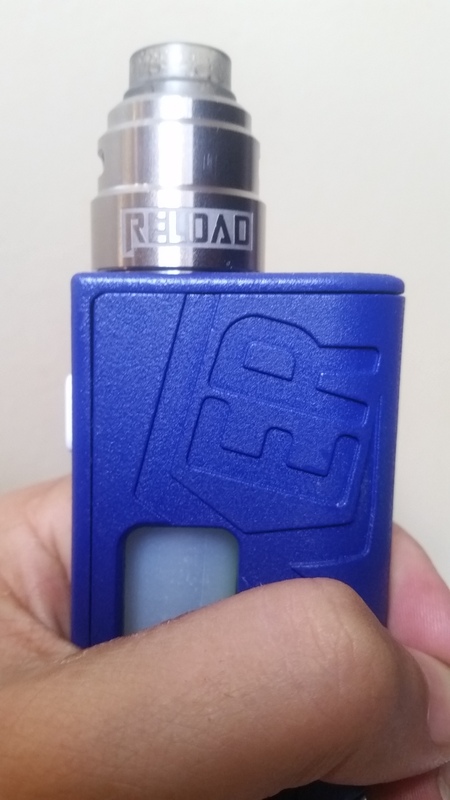 The Reload S uses much more liquid (with the same build) than the Recurve and the top cap is getting more hot. Because of this it might be worth to consider buying the PC/PEI version. I got mine a few days ago and even just comparing this one to the one Karlos got via pictures ...I would definitely say that his is superior. The insulator on mine is warped and has a gap between it and the post which mutes flavor. I have not been able to get this thing to give me a decent vape....but I will try another build in it before I pass judgement fully. I have the SS und Black one. 9$ each for a realy good clone! I agree. I have the authentic ss Reload S rda plus all of the 24mm clones while the 22mm clones will be shipped out this week. The best two 24mm clones are the $9 ss and black versions. Ordered mine from another site because they had it in stock first and had choices of several diffrent manufacturers. Just hope the post holes are not as thin as the DD clone. First time I tried to put a beefy coil in the post each wall of each post hole snapped like in your pic. If the black and SS version from FT comes with SS top cap and the same build quality like the blue one I think it will be ok. Anyway - I ordered the 9$ version from 3rd place in SS (Karlos pics). I have the authentic ss Reload S rda plus all of the 24mm clones while the 22mm clones will be shipped out this week. The best two 24mm clones are the $9 ss and black versions. I would love to find out if the 22 mm version is of the same build quality - can you be so kind to post your feedback here?